When second order or tip control is required, SPEED's Spring Clip is activated upon arch wire engagement. 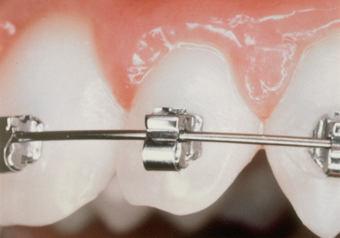 The labial deflection of the Spring Clip remains until the bracket and its accompanying tooth are precisely re-oriented relative to the archwire. Any subsequent deviation from this ideal is corrected through the reactivation of SPEED's unique homing action. 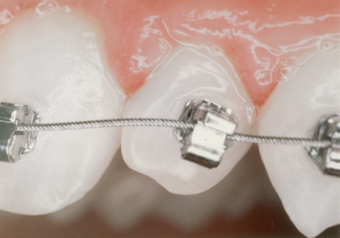 Isometric and side view of tip correction due to deflection of the Spring Clip. This action ensures ideal root parallelism after bodily translation.